When reports emerged of Lee Kuan Yew’s passing last Monday, 23 March 2015, many in the international student community here echoed one particular sentiment: that if it weren’t for Mr. Lee, Singapore’s founding father and first prime minister, none of us would be here in Singapore today. Mr. Lee’s government, for starters, had been nothing but supportive towards international students, and the Singapore government continues to be so today. Two education policies immediately come to mind: the Tuition Grant Scheme — which subsidises tuition fees for international students, in exchange for a three-year work bond post-graduation — and the ASEAN Scholarship, extended to exceptional students in neighbouring ASEAN countries. Those policies were enacted in 1980 and 1981, respectively: sometime after the start of Singapore’s economic boom, and midway through Mr. Lee’s 31-year term as prime minister. Even more, the world class quality of Singapore’s universities is no secret. In 2014, the National University of Singapore was ranked No. 1 in Asia and No. 22 worldwide by the QS University World Rankings. Among the storied names it beat? The crown jewels of the University of California system: Berkeley (#27) and Los Angeles (#37). But the reasons why we all left our home countries — in ASEAN, China, India — are so much more than just scholarships or subsidies. We choose Singapore because you can walk home at 2 in the morning without getting mugged. We choose Singapore because, from fibre optic Internet to Changi Airport, Singapore is the future. We choose Singapore because many of us come from the developing world, and while chewing gum or freedom of press would be nice, Singapore is everything we want our home countries to be. But most importantly, we choose Singapore because no matter who we are, where we come from, what god we pray to, we all have equal chances to succeed. All we have to do is work hard. Most, if not all of these things, we can attribute back to Mr. Lee. Whether we eventually settle in Singapore, leave for another country, or return back home, I like to think we have all been changed, for the better, during our time here. I’m not saying that Singapore is all sunshine and roses — at times it can feel like we are mere cogs in a machine, and the competitiveness can feel suffocating — but then again, is anything? At the end of the day, we’re grateful for the opportunities — the opportunities to learn, to broaden our horizons, to better ourselves. But most of all, we’re grateful for Mr. Lee’s belief in our potential, when all we had to show for were our report cards. As he witnessed firsthand, small things needn’t be small forever. Correction: This post has been edited to correct a mistake on the date of Lee Kuan Yew’s passing. It is 23 March 2015, not April. To my understanding, Singapore’s scholarships and the tuition grant scheme were meant to largely benefit itself. I don’t think that they were altruistic either towards the international students nor towards the neighbouring countries. Indeed they have benefitted many individual students and Singapore, but I would rather laud nations that give scholarships to students from developing nations while encouraging them to contribute back to their home countries. Everyone’s circumstances are different. Singapore just gave us another choice, that is to stay. It’s not wrong to want to benefit a little by giving out so much. On a more personal level, it gave me a place when mine failed to. I respect a country which provides respect and opportunity, more than my country will ever give. @Hui-En you can’t compare Singapore to other countries like that. Sure, other countries do provide scholarships too, but do they number as much as Singapore’s? Also, did you know that Singapore provides more scholarships for international students than their own citizens? I dont think Singapore give out more scholarship to international student than locals. Locals have way more scholarships to apply to, given they are the citizen, this should be the way. However Singapore has created a win-win situation, poor students from other country can study with tuition grant in Singapore provided they pass the test to gain admission into the university in Singapore. Outstanding students are given scholarships. In return, these students work in Singapore and help boost the economy. Many stay after 3 years and treat Singapore as home. For the poor, Singapore provided an opportunity that based on merit. I don’t believe fully in meritocracy because everyone starts on different footing and it’s definitely not true that everyone has an equal opportunity. Ask any social worker or even a teacher in a neighbourhood school. 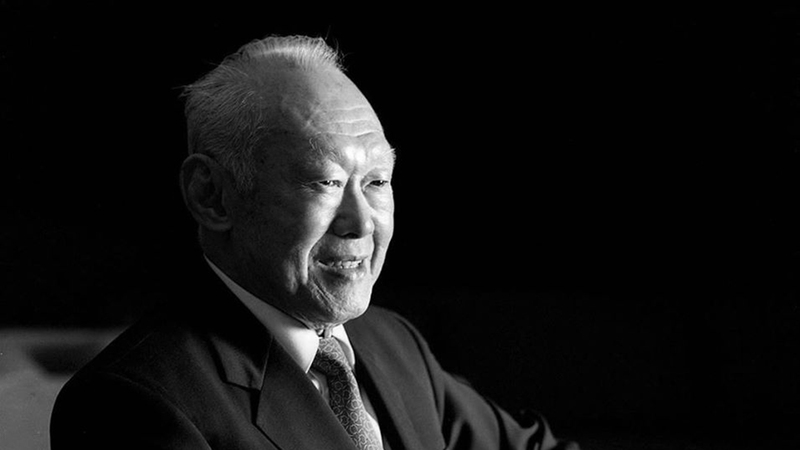 As for Lee Kuan yew’s legacy, he was a man who was dedicated to his country. He fought for this even when the odds were against him (even as they may be against us in our home countries now). We have received the opportunity to “broaden our horizons, to better ourselves” as the author said. Have we used these opportunities to better our own countries or even to better Singapore, in line with his legacy? Well, by merit means it looks at someone else capabilities not by skin colour,status,relationship or family background. However, like any other countries locals are given some priority as compared to foreigner. in Singapore, if I am not wrong there is a 30% quota on universities to admit international students. Locals have higher priority. That’s why in universities, you will see courses like engineering are usually taken up by foreigner whereas business related courses have more locals. Nowadays a lot scholarships are in fact given to students came from rich family. That is because these students are given the privilege to study, they have no worries on financial, parents able to afford better tutor n so on. However as we all know, getting a good result does not lead you into getting a scholarship. Interviewer will not look at whether you came from rich or poor family. What people looking for is your motivation, determination and character. For example, student A came from a financial sound family, people expect student A able to do more other than achieving good result. Whereas if student B who came from a poor family, we cannot expect student B to achieve the same thing as what student A achieves. That is why in scholarship or university admission, they always ask for personal statement. So that it will be fair to people from different background, give everybody from different background a chance under the meritocracy system. For those working in Singapore in return for the tuition grant, they have filled the workforce, helped to boost the economy. They also earn better pay as compared back home. So yes, we have used the opportunities to better our self and better singapore. I refer to the article https://sg.news.yahoo.com/blogs/singaporescene/singapore-scholarship-haven-foreign-students-080347815.html . Maybe I come from a bit of a different time, haha. I agree with what Mark has mostly said (as with the news article). I also think that whether we used this opportunities to better ourselves, or our country for that matter, is up to us to make the best use out of it. I don’t think the responsibility lies with the country that offers us the scholarship. If we want to live up to what is expected of us from the scholarship, we can help support the economy of the offering country. If we want to go back and further our country, then I think the onus should be on ourselves to do so. You can always choose not to stay on after the contract expires. And returning to one’s own country really depends on what drives the country … you don’t want to return to a country which does not practise “meritocracy”, where you are discriminated against and given no opportunity for your talents to bloom or to be nurtured … i think this meritocratic practice would be my fundamental consideration whether to return to my own country after the Singapore-experience.